Nearly twenty years after the conclusion of the grisly ethnic wars that tore apart the region, policymakers in the Balkans are again considering border changes and population transfers as a solution to regional disputes. The 1990s Kosovo War led directly to the creation of the fledgling Republic of Kosovo in 2008 (with overwhelming NATO support), but its messy separation from Serbia left sizeable communities of ethnic minorities on either side of the border. 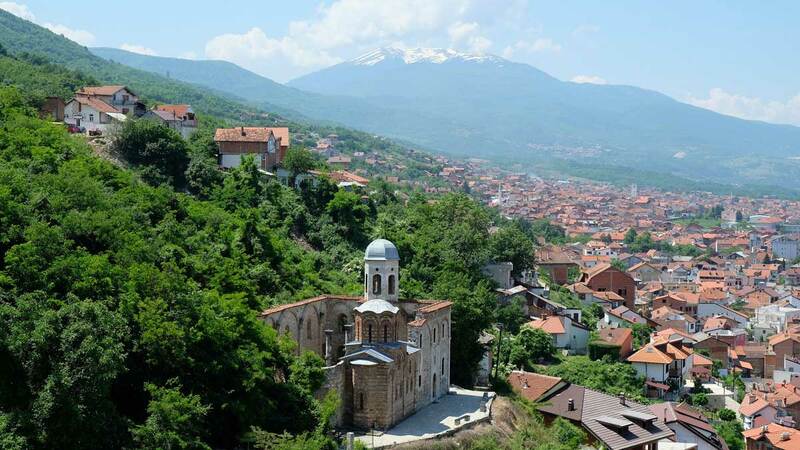 Serbia still contains a large minority of ethnic Albanians concentrated in its southern Presevo Valley bordering Kosovo, while Kosovo contains a similarly concentrated population of ethnic Serbs straddling its northern border with Serbia. These demographic discrepancies have allowed latent nationalism to fester in both states, and a land transferal is now under consideration as a possible solution to the outstanding dispute regarding Kosovo’s independence. In August, President Hashim Thaci of Kosovo suggested swapping these territories to his counterpart, Aleksander Vucic, in exchange for the latter’s diplomatic recognition of Kosovo. Despite the de facto independence of Kosovo and its achievement of diplomatic recognition from across the breadth of the international community, Serbia continues to refuse to recognize the neighboring republic, a policy stance that has so far barred its accession into the European Union. While supporters of the ‘land swap’ deal laud its potential to normalize the relationship between the former foes and to bring much needed stability to the region, its implementation might help to enflame old nationalistic passions and renew regional hostilities. One of the main problems with the proposal is that there would remain trace communities of Serbs and Albanians scattered outside the designated zones and across Kosovo and Serbia. There exists no feasible way to include these residual populations in any land transfer, guaranteeing that they would be trapped inside a perceived foreign (and potentially hostile) state and, crucially, that their already small share of the population would be substantially reduced. This will cause both groups to feel increasingly isolated inside the redrawn borders, which itself could have significant social and political consequences for both states. Regionally, “correcting” the border between Serbia and Kosovo might incite irredentist passions elsewhere across the Balkans. This is especially true in Bosnia, where the Serb-dominated Republika Srpska continues to ascribe to its ultimate objective of uniting Serbs across the region inside a single Serbian state. The ‘recapture’ of ‘Serbian territory’ in northern Kosovo after decades of a perceived deliberate erosion since the initial breakup of Yugoslavia might help inspire Serbian nationalists in Bosnia who share the same overarching objectives. Of course, the international community would undoubtedly oppose any such moves, but Serbian nationalists with a clear conviction are unknown to defer to foreign entities. Indeed, the resurgence of Serbian nationalist ambitions would have a deleterious effect on regional relations. The activities of the Serb-dominated Yugoslav People’s Army during the 1990s entrenched a deep suspicion of both Serbia and its ultimate ambitions in the other ethnic groups, and the ‘reconquest’ of ‘Serbian territory’ in this event would no doubt rekindle those fears and suspicions. This is especially true for Croatia, which was the other main party to the war in Bosnia and whose own ethno-nationalist ambitions are partly defined by its relationship with the ethnic Serb population living both within and without. Shifting borders and redesignating populations would revive images of the more gruesome episodes of like events in the 1990s, but perhaps more importantly, it would shake the foundation of an already flimsy regional system which has itself wavered over the edge of the social abyss for the better part of three decades. It is without question that this situation demands a solution—substantial ethnic minorities do reside within states that they perceive as foreign, and real disputes continue to handicap relations between Kosovo and Serbia. A more pragmatic and responsible alternative to a land swap, however, would be to establish devolved administrations within Serbia and Kosovo that encompass the geographic stronghold of these minority groups. Similar to the political system that exists in the United Kingdom, devolved administration would establish local legislative assemblies in the territories in question and transfer authority over issues including education, healthcare, transportation, culture, and land use. While the precise remit of the local assembles is a matter for the communities they represent and their national governments, their ultimate composition would localize power in a way that would legitimize the distinct character and concerns of those communities while still maintaining the territorial integrities of Serbia and Kosovo. Of course, it would not resolve the issue of extant minorities living outside these designated zones, but it would reduce their apprehensions about political change because they would continue to form part of a much larger national minority from which they might seek solidarity and refuge. Policymakers might consider adding provisions for a potential land swap in the future—similar to the arrangement that currently exists in Northern Ireland—in order to recognize the constituent minorities’ national aspirations. Although such stipulations would have to navigate the same socio-political issues described above, it might be enough to convince Serbia to offer diplomatic recognition to Kosovo, thereby opening the way for its accession into the EU and the resulting foreign direct investment that would follow. Indeed, this type of arrangement is not without precedent in the region. It would largely mirror that created by the Dayton Agreement, which conferred sweeping local governing authority on Serb and Croat minorities in Bosnia and which was, incidentally, enough to end the violence there and initiate a period of reconciliation. Furthermore, devolved authority in Kosovo and Serbia would reduce demands for territorial change because the political concessions it would confer would almost match those sought through political unification. Importantly for the broader international environment, this political arrangement would likely win the approval of both the EU and the United States. The EU is adamantly opposed to land transfers, and while the US recently departed from its traditional position and indicated a willingness to consider all options, a deal which preserves the territorial integrity of the region while also winning broad support from all sides would align with both sets of Western interests. Devolved administration is by no means novel or exceedingly creative, and political negotiations would still require thoughtful design in order to match it to the particular historical and cultural nuances of Kosovo, Serbia, and the communities that reside within. Unfortunately, both Serbian and Kosovar officials have heretofore demonstrated a remarkable lack of regard for the legitimate concerns facing their populations, and their foreign policies appear to be influenced by the rigidly constructed nationalist paradigms of the 1990s. If they are serious about preserving the precarious level of stability that this region has settled into over the previous two decades, they must consider policy solutions that genuinely respect the diversity and complexity of their region and which contribute towards the construction of a shared future based on integration, cooperation, and reconciliation. Daniel Haverty holds a B.A. in Political Science from the College of the Holy Cross. He spent a year studying European history and politics as an exchange student at the National University of Ireland Galway, and is currently a postgraduate student in International Relations at the University College Cork. His academic research focuses on the 1990s peace process in Northern Ireland.